This unique formulation, brought to you by Maxi-Health Research®, combines a standardized extract of 80% silymarin, the active ingredient in milk thistle with dandelion root. 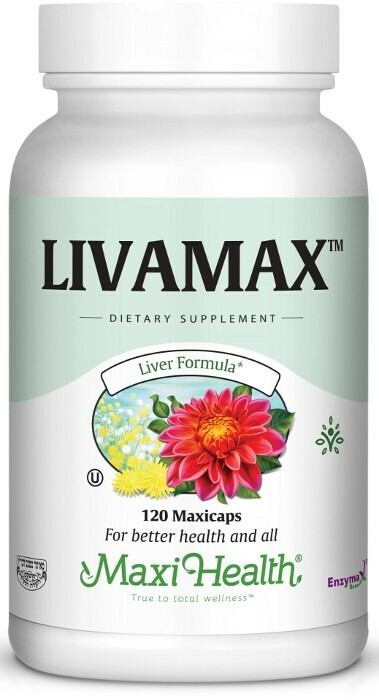 Try Livamax™, it may be what you have been looking for! Other Ingredients: Vegetable cellulose, Enzymax® (calcium carbonate, bromelain, papain, lipase, amylase, protease, silica), magnesium stearate, and rice flour.